If your roof has been showing signs of aging but you have been putting off having it replaced then you are not alone. Homeowners often put off having their roof replaced either due to the financial concerns, or due to the fact that they are unsure if their roof needs to be replaced. Ultimately, while many homeowners may put off having their roof replaced due to financial concerns, it is important that you have your roof replaced if you believe that it is failing, as ignoring this problem will only result in more costly repairs being required due to water infiltrating your home. 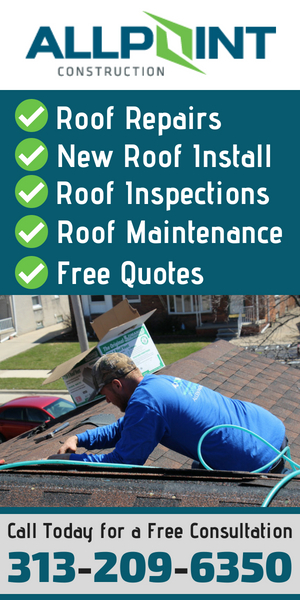 If you are unsure whether or not your roof needs to be replaced, here is a quick overview of the signs you can look out for indicating that you need a new roof in Dearborn Michigan. If you believe that your roof needs to be replaced but you have been putting off doing so, then you may want to consider having your roof replaced this fall. Here are just a few of the reasons why you should consider having your aging roof replaced this fall before winter arrives. For homeowners who know that their roof is showing signs of aging it can be easy to put off replacement one more year if their roof did not leak last winter and they have not encountered any problems. However, most residential roofs are only made to last between 20 and 30 years before needing to be replaced. Thusly, if your roof is over 20 years old, the storms of last winter and spring may have taken a harder toll on your roof than you may have realized. Heavy rain and snowfall can put stress on an aging roof, which means that your roof may not be able to withstand another winter season. If your roof is over 20 years old and has been showing signs of aging, it will likely be best to have it replaced this fall in order to ensure that you are ready for the coming winter. However, if you unsure of your roof’s condition you can always have it professionally inspected to find out if replacement can wait another year, but do not be surprised if they discover damage that necessitates immediate replacement. On the other hand, perhaps you did notice problems with your roof last winter but you did not think a small leak was that big of a deal. However, small leaks are likely to grow next season as they are exposed to more rain, which can cause extensive damage to your attic and even the structure of your home. In particular, Dearborn’s heavy snowfall each year makes it imperative to replace a damaged roof before winter arrives. A roof that is leaking is likely compromised, and it then may not be able to handle the heavy load of the snow it would be required to support next winter. Additionally, as snow and ice melts during the day it can seep into the cracks in your roof that are causing your leaks and refreeze overnight. This will then cause these cracks to expand creating more severe damage to your roof. Thusly, if you noticed any damage to your roof last winter or spring, it is critical that you have your roof replaced this fall before winter arrives. Not only can an aging roof leak, but a compromised roof also will not do a very good job of insulating your home during the cold nights to come this winter. Cracks in your roofing may be allowing warm air to escape your home, which can make for some uncomfortable nights as the temperatures drop. Even with your home’s furnace running you may have a hard time keeping warm as your HVAC system will have to work overtime to try to heat your home if heat is escaping. A new roof can help to lock in the heat and keep the cold weather out. Not only will this ensure your family’s comfort in the coming months, but it will also help to save you money on your energy bills as your system will not have to work as hard to heat your home. It cannot be overstated how beneficial it can be for your HVAC system if you replace your aging roof. The fact is that not only do aging roofs lose their insulative properties, but older roofs were not made to be as energy-efficient as modern roofs are. The latest technology allows roofs to be more energy efficient than ever before; for instance, one new innovation in roofing is that many new roof shingles reflect sunlight rather than absorbing it, which means that in addition to keeping your home warmer during the winter, your new roof will also help to keep your home cooler during the summer. Not only will this greatly lower your utility bills year-round, but it will also put less strain on your HVAC system which will reduce the need for costly repairs. If your roof has been showing signs of aging, then fall is the ideal time to have it replaced. In fall you do not have to worry about the wind, rain, and snow of winter and spring, and the temperatures are mild enough for roof installation. What many homeowners are unaware of is that the ideal temperature range for installing roofs is between 45 and 85 degrees Fahrenheit. If temperatures are much higher than 85 degrees, shingles will become overly pliable and become difficult to work with. 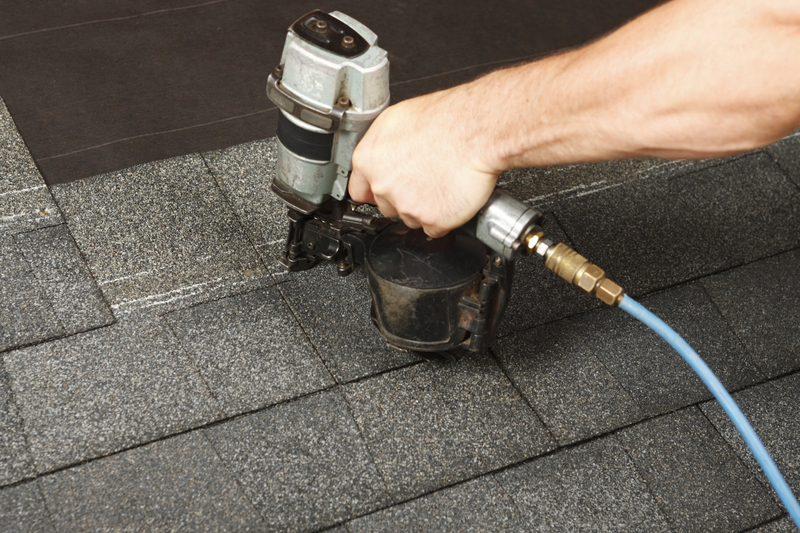 On the opposite end of the spectrum, if temperatures drop below 40 degrees shingles will become too stiff to work with. 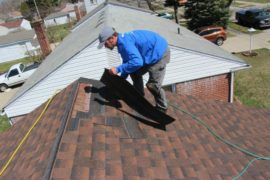 Additionally, at colder temperatures shingles are likely to become brittle which can cause them to crack or even break. When it is cold it is also more difficult for shingles to adhere properly, which can make it harder to create a good seal on your new roof. Fall then provides the ideal climate to make sure that your new roof is installed perfectly. Due to moderate weather conditions, roof installation is also quicker and easier in the fall. Not only will your roofers not be struggling with shingles that are not wanting to cooperate, but they also will not have to go to great lengths, and use extra materials, to ensure that your roof seals properly. Additionally, during winter and spring construction may get delayed due to inclement weather, which can slow down the project and represent an additional cost. Even summer can cause delays if temperature spikes create unsafe working conditions for roofers. Choosing to have your aging roof replaced in fall will then help to ensure that the process goes as quickly and easily as possible. Oftentimes homeowners will put off having their roof replaced till right before winter arrives even if they know that there are problems with their roof. However, the problem with this is that after a new roof is installed, it takes time for your shingles to bond to the roof properly, creating a seal against wind and moisture. If a new roof has not had enough time to seal before the first big storm of winter arrives, moisture may still be able to enter your home, or shingles may be more susceptible to being blown away by strong winds. Having your roof replaced now will help to ensure that there is plenty of time for your roof to seal properly before it is put to the test this winter. Perhaps the most important reason not to put off replacing your roof is that having your roof replaced this fall will allow you to plan ahead and make arrangements to have your roof replaced on your terms. If you wait for an emergency to arise, such as a major leak showing up this winter, you will then feel panicked and will rush through the process of making decisions about your new roof. However, having a new roof installed on your home is a major undertaking that you do not want to rush into. 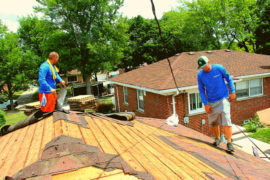 Having your roof replaced now will give you time to do your research, which will allow you to find a qualified roofer whom you can trust to take care of your home, and it will give you time to make important decisions regarding what type of roof will best meet your needs and will fit within your budget. 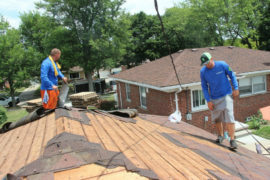 Having your home’s roof replaced is a major undertaking that requires a large time and financial commitment. However, taking the time to have your roof replaced this fall can save you from the stress and expense that can come with waiting too long to have your home’s roof replaced. If your roof is showing signs of aging, or if it is over 25 years old, you should seriously consider having a new roof installed before winter arrives. 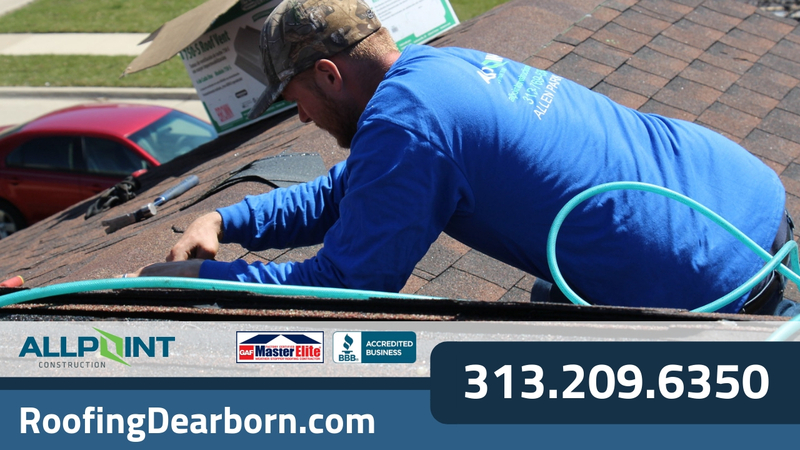 Contact us to learn more about having your Dearborn home’s roof replaced this fall.